The Tilles Center continues to be known as the largest employer of students on campus, according to Daniel Coners, the Tilles Center’s director of business operations. Approximately thirty students work at the Tilles Center. “Students employed at the Tilles Center do meaningful work in customer service, theater production, marketing, fundraising, education, and event management,” Coners said. Coners said the experience is enriching for those who need to seek experience and to learn manageable skills for the workforce. “We pride ourselves on the resume building work that our students perform and many of our student employees have gone to gain meaningful employment in the performing arts and entertainment industry with the experience they have gained here,” Coners said. 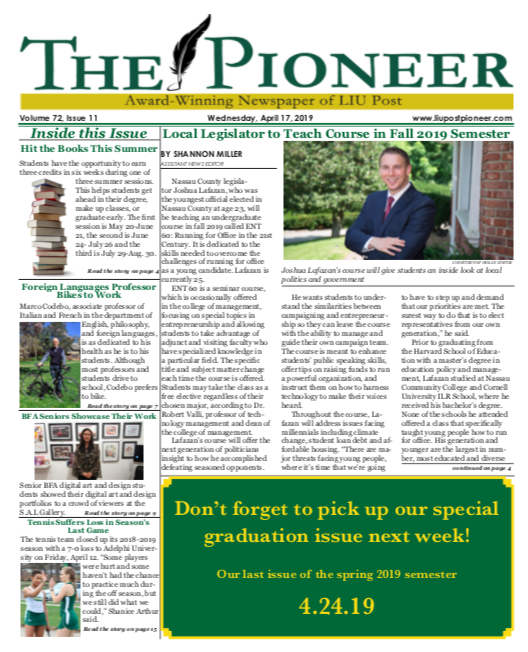 In addition to the students employed by Tilles, a number of the full-time staff members are LIU Post alumni. Milankumar Patel, senior biomedical science major, was employed by the Tilles Center from Sept. 23, 2017 to May 16, 2018 as an usher. Patel also worked from May 16, 2018 to Sept. 15, 2018 as an event attendee (EA). As an EA, Patel ensured patron safety in the facility and prepared and ran pre-show performances, including stage set up. Patel also had other responsibilities as an EA such as concessions setup, which involved coffee making, snacks and sometimes bartending. “We would also use surveys to find out what current attendees value and I would guide the patrons if they need any help finding their seats, I also arranged the seating for the handicapped so they don’t have any problem,” Patel said. Patel said there are roughly 25 ushers and 10 to 13 event attendees. “The Tilles Center has a [large] budget and they always hire more students, for example, sometimes events/shows are almost full and the total number of seats we have is 2,242,” Patel said. To work at the Tilles Center, students must be in a bachelor’s or master’s program. They must be able to work well under pressure, in a fast paced environment, must have customer service experience, cash handling experience, and good communication skills. Students interested in employment at Tilles can contact Amanda Dupuy, the operations manager, at amanda.dupuy@liu.edu, through jobs.liu.edu.